From being the ‘Neglected States of the Nation’ to ‘Look and Act East Policy’, the past five years have been transformational for North East India. The last time North East India received undivided attention from lawmakers and policymakers was when Shri Atal Bihari Vajpayee became the first Prime Minister to spend a night in the region. His tenure was dotted with multiple initiatives that aimed to connect North East India through infrastructure and technology, including the conception of a separate ministry, a non-lapsable pool of funds for the North Eastern Region, inclusion of Sikkim as a member of North Eastern Council and a dedicated department for the development of North East region. Unfortunately, after he demitted office, the region once again suffered from the tyranny of distance. Since the Prime Minister Shri Narendra Modi assumed office, he once again directed policy attention towards the region across various dimensions of development including economy, infrastructure, employment, industry, and culture.In a democracy, to bring pathbreaking changes, interaction with lawmakers is inevitable. 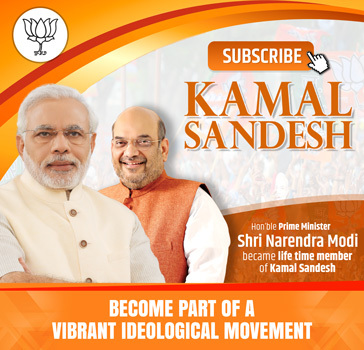 The Bhartiya Janata Party with a committed leadership and intricate network of cadres, achieved political success in the region and provided much needed will to collaborate with the Centre and work towards taking the region forward. To put this in perspective, during his tenure,the PM himself has visited the region more than 30 times. The party fortified its political presence across the North-East, including the bastion of the Left i.e. Tripura. 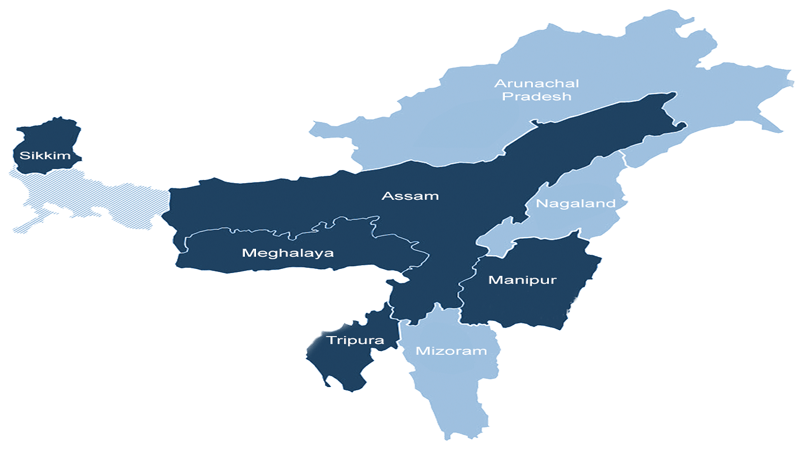 The NDA is in power in six out of seven North East states in the region. –India’s longest rail and road bridge, 4.94 km Bogibeel Bridge was inaugurated by the Prime Minister in 2018. –It took a Modi Government at the Centre to give railway accessibility to the region. The Government ensured that 900 km tracks of broad gauge are laid in the region. 88-km Dhansiri-Kohima railway track that connected Kohima to the national railway network along with Rajdhani Express, Tripura Sundari Express, provided the long-awaited railway access to the region. –The “Transformation by Transportation” policy of Narendra Modi included projects for more than 3,800 km of national highways and investment of Rs. 60,000 crore under the Special Accelerated Road Development and Rs. 30,000 crore under the Bharatmala project.There has been concerted push to connect the terrain through air in the past five years. An aviation manpower training institute, development of Rupsi airport, expansion of the air facility at Dimapur are some of the projects undertaken by the Modi Government to ensure the region gets adequate gateways to the rest of India. –In one of the pathbreaking policy announcements, the Government re-classified bamboo from tree to grass. –Rima Das’s film Village Rockstars was awarded as the best national film award. Recognitions and rewards such as these provide motivation to budding talent in the region and breaks the conventional wisdom that suggests North East has limited future due to the tyranny of distance. –An integrated large-scale Eri farming was launched in Arunachal Pradesh under the North East Region Textile Promotion Scheme (NERTPS). Financial assistance to 4000 beneficiaries under the NERTPS has been announced along with skill training to Eri silk farmers and weavers.